Every short story contest offers a pithy description of what constitutes a winning story. The complete story world, characters that intrigue, sensuous prose, original approach, and on and on. Hoorah. I’m in. Yet so often I read work in the Paris Review, New Yorker, The Atlantic and various literaary quarterlies and think, I wouldn’t want to have written that. It didn’t connect with me. It didn’t seem to share anything. I feel that I’ve been left out of the joke. Like everyone else is high and I’m sober–the wet blanket, asking what’s so funny about the carpet? As the antidote to this, because I hate to be left out, I’ve been studying up. Reading stories everywhere, surrounding myself with them, hoping that immersion will educate me. I can say two things so far. There are still much-lauded stories that I don’t get, and others that are magic. 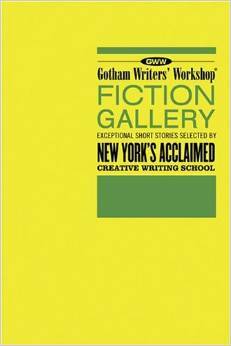 I recommend the Gothic Fiction Gallery for a tour of memorable short stories, old and new, that will grab you, haunt, and teach.